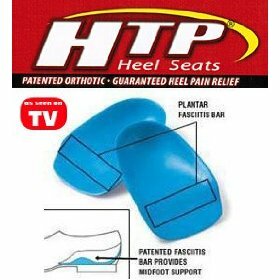 Rigid and Soft Night Splints Treat Heel Pain From Plantar Fasciitis and Heel Spurs. There are several different designs when it comes to Night Splints. The most common are a Rigid Night Splint, Soft Night Splint and Dorsal Rigid Night Splint. They work using the same concept which is to keep the foot near a 90 degree angle to the shin providing proper dorsiflexion. 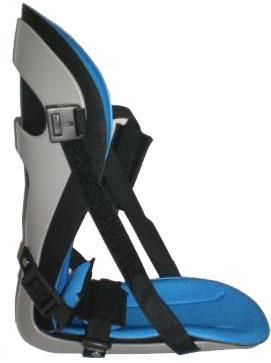 The original Night Splints were all Rigid and most Podiatrist sell Rigid Night Splints. They work very well, but they can be difficult to sleep with and also to walk in if you need to use the bathroom in the middle of the night. Two of the newer versions are the Soft Night Splint and Dorsal Night Splint. They are not as bulky and easier to sleep and walk in. 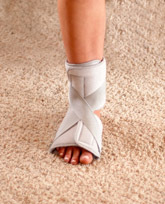 We always recommend starting with a Soft Night Splint first and if necessary upgrading to the Rigid Night Splint if it is needed to hold the foot in a more rigid position. Below are some of the examples of Night Splints that can be purchased.